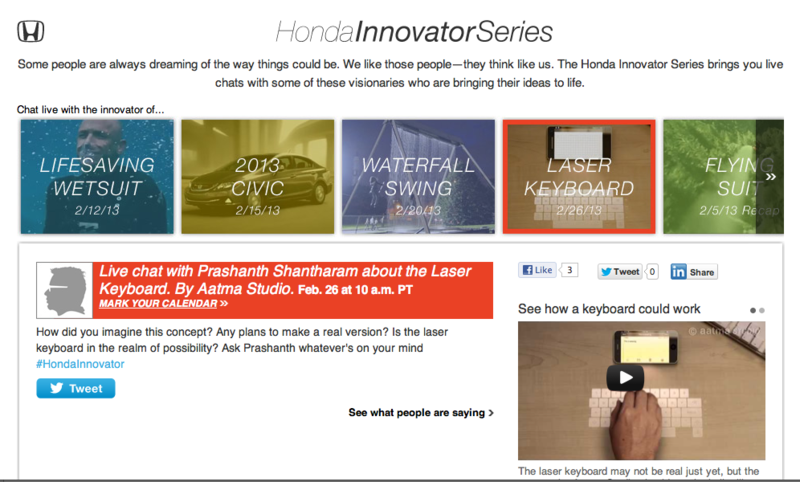 We are now part of Honda’s Innovator series, and you could chat with us on Feb 26th at 10 am PST via twitter to discuss the laser keyboard. Direct your questions to @aatmastudio. We look forward to hearing from you then.